Reflections on Torture: denial or indifference? Torture is an issue in Bangladesh that is discussed widely among the human rights community, denied by the government machinery and practiced by the law enforcement agencies. Unfortunately, apart from the Constitution of the People's Republic of Bangladesh, no other law mentions the term 'torture' though there are similar actions described in the penal laws. Law page would consecutively focus on different aspects of 'torture', the present legal provisions, the perpetration of acts that amount to torture and the difficulty in implementing the laws. It would highlight the need to criminalise 'torture' not through enacting a new law, but by amending the Penal Code of 1960 and adding a new chapter on 'torture' and the pressing need to enact a law to protect victims and witnesses of all crime, so that they feel and are safe to testify and meet the ends of justice. Almost all regimes and governments engaging in torture consistently deny engaging in the practice, in spite of overwhelming hearsay and physical evidence from the citizens they tortured or their families. Prisons, law enforcement and intelligence apparatus working for the State are major sources of torture. Bangladesh is a country where torture is a constant method used by law enforcement agencies to extract confessional statements from arrestees, or just to demoralise them and break their will. Despite the fact that Bangladesh is a party to the Convention against Torture (CAT), the term 'torture' has yet to be criminalised. There are well-documented allegations of wide-spread torture by law enforcement personnel as part of an established routine in Bangladesh. Given the circumstances that have made the practice of torture and impunity an almost permanent fixture in the practice of criminal investigation, criminalisation of 'torture' would provide for stronger sanctions against the perpetration of torture, in comparison to what is contained in the criminal laws of Bangladesh to date. It would also strengthen the prosecution of perpetrators of torture, since the international definition of 'torture' covers both physical and mental aspects. Without an absolute prohibition on torture, situations like those discussed above, where torture is being used as an instrument of interrogation in the name of preventing crime and terrorism will prevail. This write up studies the laws relating to cruel, inhuman and degrading punishment and the effect on criminal laws and law enforcement agencies if 'torture' were made a criminal offence. The write up highlights the need to criminalise torture in Bangladesh in order to reduce the level of impunity in the law enforcement agencies of the country, where the infliction of pain and other inhuman methods have become the easiest way to close a criminal investigation. For the purpose of the discussions in this paper, it is first necessary to define the term 'torture' as it will be used here. In order to do so, this paper has relied on the UN Convention against Torture and Other Cruel, Inhuman or Degrading Treatment or Punishment. 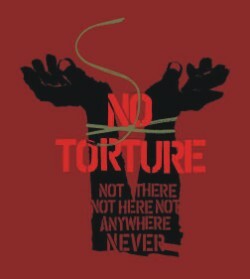 According to Article 1 of the Convention, the term “torture” means: any act by which severe pain or suffering, whether physical or mental, is intentionally inflicted on a person for such purposes as obtaining from him or a third person information or a confession, punishing him for an act he or a third person has committed or is suspected of having committed, or intimidating or coercing him or a third person, or for any reason based on discrimination of any kind, when such pain or suffering is inflicted by or at the instigation of or with the consent or acquiescence of a public official or other person acting in an official capacity. It does not include pain or suffering arising only from, inherent in or incidental to lawful sanctions. --due to any form of discrimination. ii. Such torture mainly perpetrated by the police and the members of the Rapid Action Battalion is extrajudicial and may also lead to the death of the person tortured. iii. Despite the fact that Bangladesh is a party to the Convention against Torture (CAT), the term 'torture' has yet to be criminalised. There are provisions within existing criminal laws in Bangladesh that can still be used to punish the offence. However, since the term 'torture' is not mentioned in the Penal Code, a void remains and it is thus difficult to prosecute a person for this offence. There are well-documented allegations of wide-spread torture by law enforcement personnel as part of an established routine in Bangladesh. Despite the fact that most of those tortured can name, specifically, those involved in the perpetration of the torture and the place they were tortured, very little is done to investigate or apprehend those involved. This only reinforces the practice, as those who indulge in torture do so in full confidence that the will not be brought to justice. This is compounded by the fact that often torture is committed on a person on the orders of 'higher-ups' - which allows police to act with impunity. In addition, there is a fundamental lack of separation of powers; and political interference from the Executive has lead to politically motivated decisions and lack of accountability for human rights violations, including torture. Apart from the police force in Bangladesh, specilised law enforcement agencies the Rapid Action Battalion (RAB), 'joint forces', etc to assist the civilian force, has also resulted in an increased level of torture and other cruel and inhuman treatment and lack of accountability. The lack of disciplinary action against law enforcement personnel remains one of the main attributing factors to torture. There is no functioning independent system dealing with complaints of torture committed by law enforcement officials resulting in impunity and lack of accountability. RAB was formed in 2004 to assist the police force to combat crime in Bangladesh. The Battalion comprises of members from the Armed Forces and the Police, distinctively uniformed in black from head to toe. Initially, the people of Bangladesh welcomed the formation of RAB, thinking it would be better to combat the lawlessness in the country, as the police force was rife with corruption, poor investigation and apathy. Unfortunately, this has changed and in Bangladesh, all law enforcement agencies are feared and are in no way considered institutions emanating security and justice. Apart from the cases of torture and physical abuse perpetrated on those in custody; throughout the public sector there is a fundamental lack of resources, including lack of infrastructure, personnel and proper investigative equipment. Sub-standard conditions in places of detention, including severe overcrowding, lack of sanitation, food and drinking water as well as medical treatment, amounts to cruel, degrading and inhuman treatment. Again, torture may be followed by the demise of the victim either as a result of the torture or in, what the law enforcers call 'cross-fire' or 'ambush', where they claim that the victim, after agreeing to take them to where the goods were hidden, suddenly gave a signal and his supporters ambushed the team and the victim was killed in the ensuing shoot-out. Government inaction and indifference play a great part in encouraging impunity and torture by law enforcement agencies. In very rare cases, the police or the Ministry of Home Affairs may start an investigation into an alleged instance of torture, usually as a result of pressure from powerful individuals or groups, but these investigations do not result in prosecutions or punishments that are in line with international standards concerning torture. Corruption combined with influences from inside and outside the police and judiciary, plays a key role in ensuring impunity for the perpetrators. On the other hand, the victims lose physical and psychological capabilities, employment, financial solvency and social dignity. The author is an Associate Professor of the School of Law, BRAC University, Dhaka.